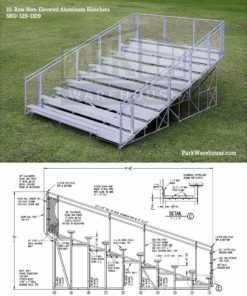 Need to seat a lot of people? 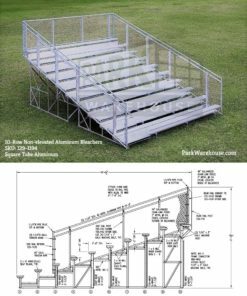 Our 10-Row aluminum bleachers are the right solution for you. 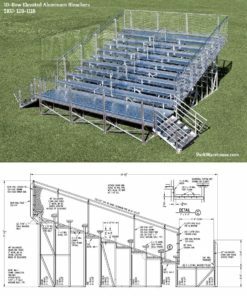 Available in standard lengths up to 33′ long, seat hundreds of spectators on these bleachers. 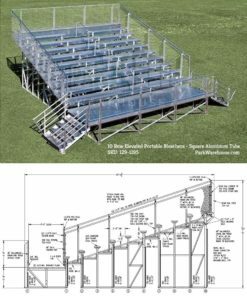 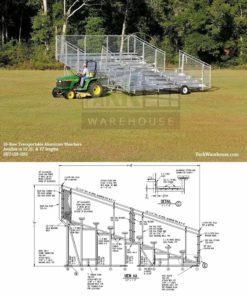 We have both elevated and non-elevated aluminum 10-row bleachers in addition to a transportable model that can be towed.